The tobacco crop was an original export from the colonies to England and Europe at the onset of colonization of North America. It was a building block for the economic security of the United States. As the United States expanded and grew, tobacco products gained a healthy share of the disposable income market. In time, for some people, that disposable income became a necessary purchase for many Americans. The medical community and government officials came to the conclusion in the 20th Century that tobacco products, although enjoyable for some smokers, may create significant health issues with usage over time. Tobacco product advertising from the 1940s through the middle 1960s remained unchallenged but the health argument remained in the background of the issue. Several television shows and networks brought on major tobacco companies to finance their programming. Film stars were seen smoking while some were paid to endorse a certain brand. The youth of America saw that smoking was cool and smoking meant that you were among the “in-crowd”; and furthermore, your personality exuded danger and adventure. All of this, in addition to the belief that smoking was harmless, contributed to the steady rise in smokers over time. This, of course, increased profits, and provided the necessary marketing funds for further advertising strategies. The other side of the smoking issue relates to the altering of the carcinogen levels and other additives by companies to increase the likelihood of addiction. This is an important part of the story. Nevertheless, it is an issue for another time. The advertising game changed after the Surgeon General released a Health Advisory Report on June 11, 1964, outlining the negative health issues from long-term smoking. Despite pressure from the tobacco and broadcasting lobbies, the push to get a law passed to ban tobacco advertising gained momentum. 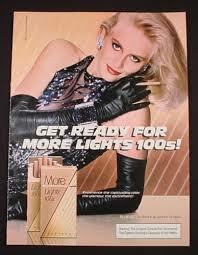 That led to the act to ban cigarette advertising from television and radio in 1971. On April 1, 1971, President Richard Nixon, a pipe smoker himself, signed into law legislation that prohibited tobacco advertising on television and radio. Estimates at the time, showed that broadcast companies lost more than 220 million a year from advertising revenues. At that time, 220 million dollars was a big chunk of change that had to be replaced in order for the industry to satisfy investors and profit margins. According to broadcasting records, the last televised cigarette ad aired on the Johnny Carson Show at 11:50 PM on January 1st 1971. Carson’s ad occurred on January 1st, so that, in a compromise to the broadcasting lobby, they were able to get their last influx of profits by airing cigarette ads on the New Year’s bowl games. What was broadcast media’s loss, was print media’s gain. 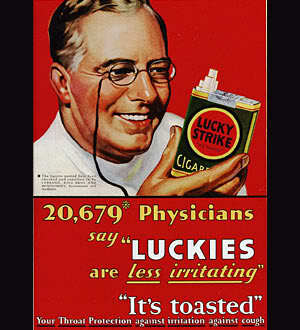 Tobacco company marketing campaigns moved advertising dollars to magazines and other print media. Here are the primary 1971 smoking ad ban laws. Made it unlawful to advertise cigarettes on radio or television beginning Jan. 2, 1971. Prohibited all state and local health-related regulation or prohibition of cigarette advertising. 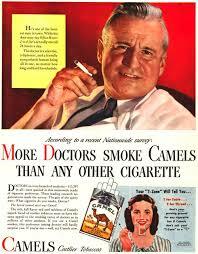 The video link below is from the archives and shows different cigarette ads through time. Since those years when legislation was passed to curb cigarette advertising, the government and particularly congressional leaders have sought to prevent the sale of products to children, teenagers and adults by requiring age checks and high taxes on cigarette packs, cartons and boxes.